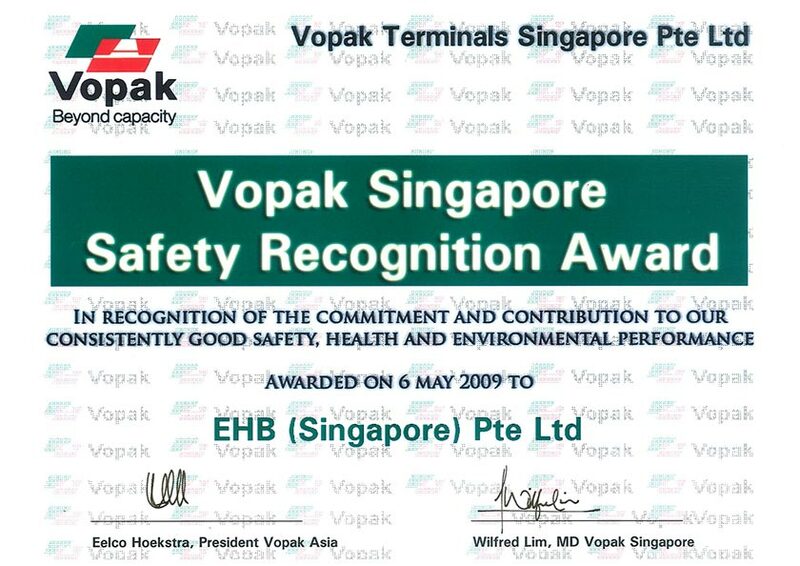 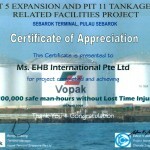 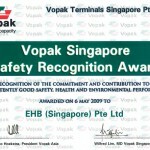 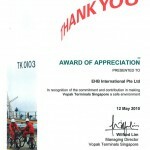 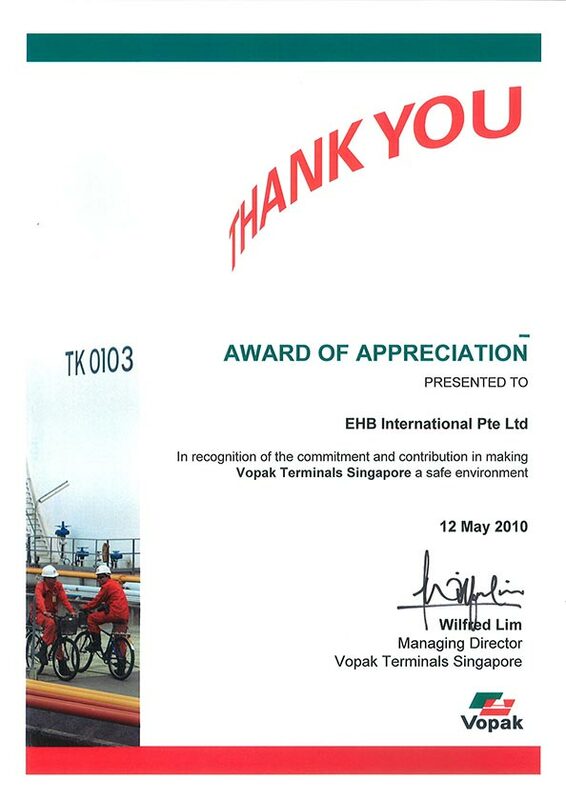 EHB International Pte Ltd is a bizSafe Star and OHSAS certified company and has been providing specialist services in Corrosion Protection and Scaffolding since 1990 mostly in Oil/Gas and Petrochemical Industries. 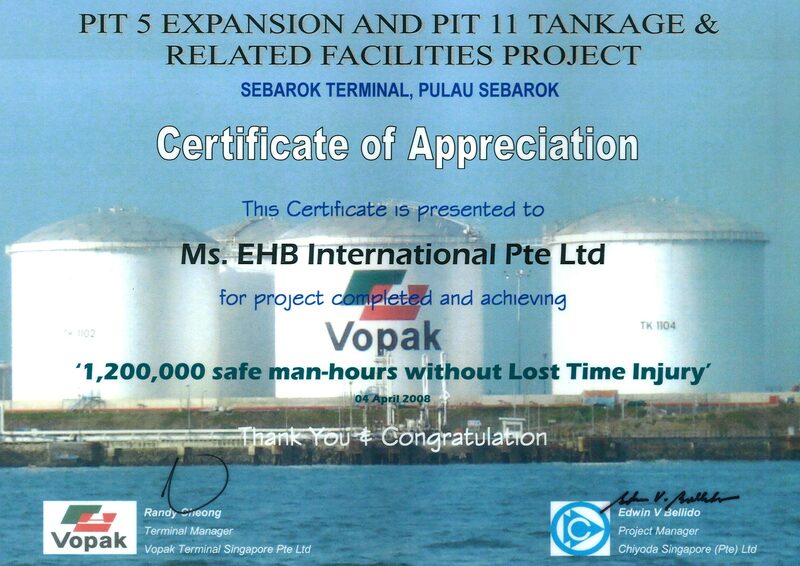 EHB provides maintenance & repair services to the plant owners as well as in new build construction of process plants & storage tanks in Singapore. • To be a customer –driven organization providing specialist services in corrosion protection and scaffolding beyond customer’s expectations. 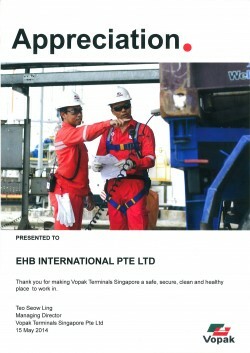 • To always perform our works safely. 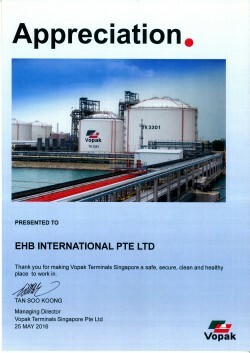 To continuously improve our core business profitability so as to reward our customers and employees. 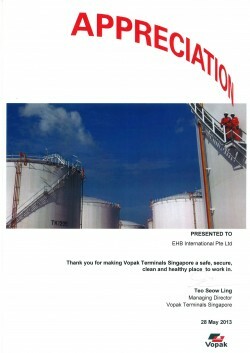 To be a leading specialist in corrosion protection and scaffolding. 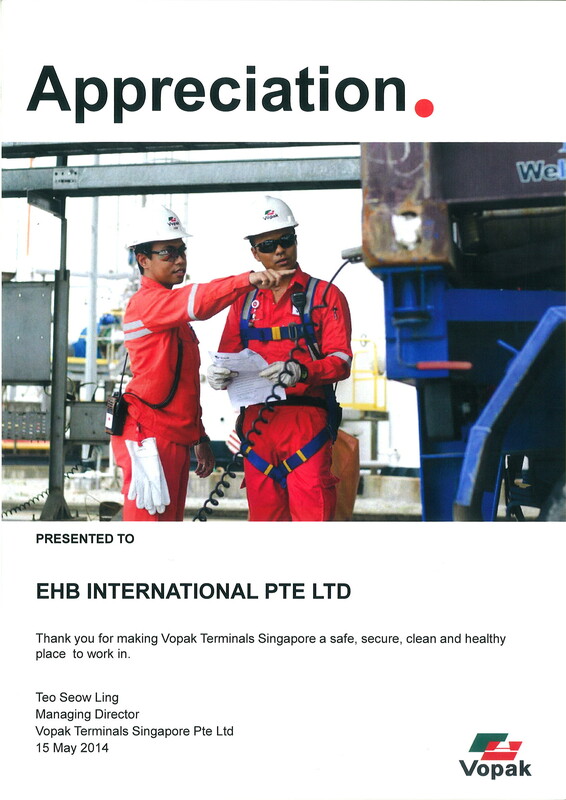 To play our roles as a responsible service provider to our customers, supported by trained, disciplined, dedicated and committed workforce.